One week later, in the latest dramatic escalation between the two NATO members, Turkey's Deputy PM has warned that US troops fighting alongside Syrian Kurdish militias in the same uniform may be targeted by the Turkish army due to the difficulty of distinguishing them in the heat of battle, effectively stating that US troops in northern Syria are now "fair game" in the ongoing deadly conflict. The unambiguous warning comes at a time when Turkish troops are making further advances into the Kurdish-held Syrian province of Afrin as part of the recently launched "Operation Olive Branch." As RT reports, Ankara had previously complained that the American troops’ embedding with Kurdish militias – regarded as terrorists in Turkey – is unacceptable for the US-Turkish alliance. In the interview, Bozdag stressed that any person bearing weapons and fighting alongside the Kurds “is our target" however, he added that neither side wants open confrontation. Ankara has made it clear that US troops present in the area should stay away from where the Turks operate, and should not assist their Kurdish allies, he said. 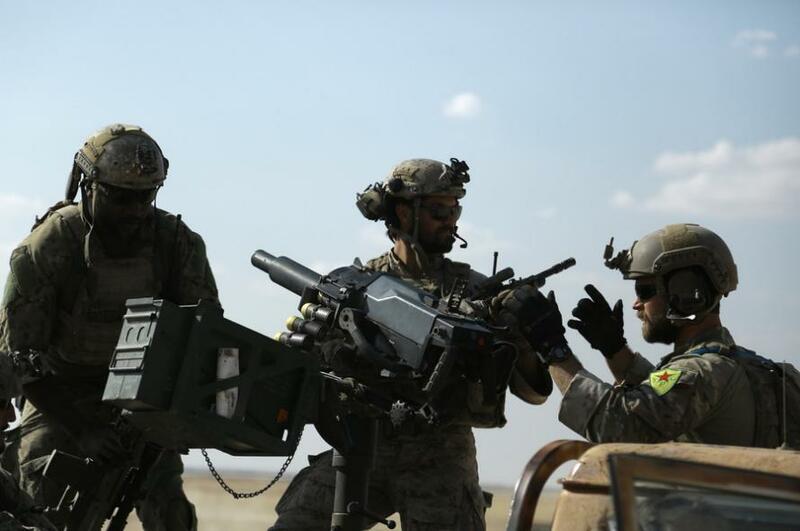 Is Turkey accurate in warning that US soldiers can be mistaken for Kurdish rebels? Surprisingly - or maybe not - the answer is yes. 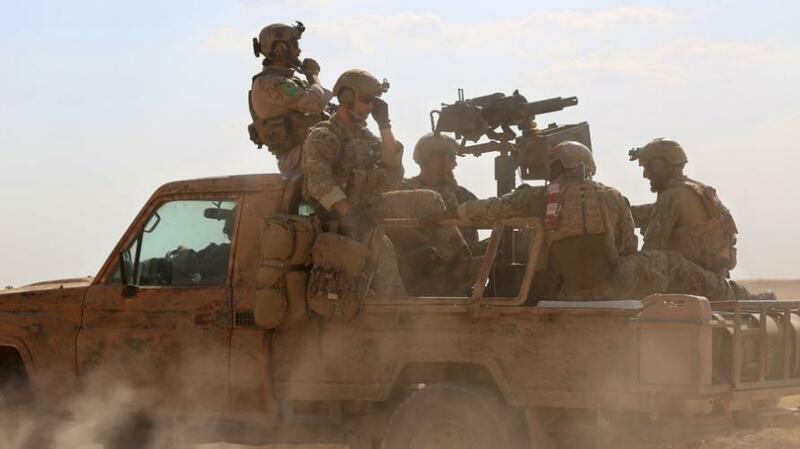 The soldiers, sporting top-notch weapons and body armor, were wearing YPG badges. At the time, the Pentagon said “insignias and other identifying marks with their partner forces” were being worn in order to “blend in with the community." The Turkish armed forces have been fighting the Kurds since January, when Ankara green-lighted a ground offensive in the Kurdish enclave of Afrin, codenamed, with 100% irony, "Operation Olive Branch." Syrian rebel forces loyal to Turkey are spearheading the offensive, while the Turkish military provide close air support and heavy weapons.